Microsoft PowerPoint is the most popular tool to make presentations on a computer. But if you haven’t mastered it, you will need a little help going from a blank page to a stunning slideshow. These free apps and sites will make that happen for you. Before you jump into any of these, it’s best if you familiarize yourself with the basics of PowerPoint. Our guide will teach you how to use the ribbon or toolbar, how to create slides, add notes, and even how to use templates. 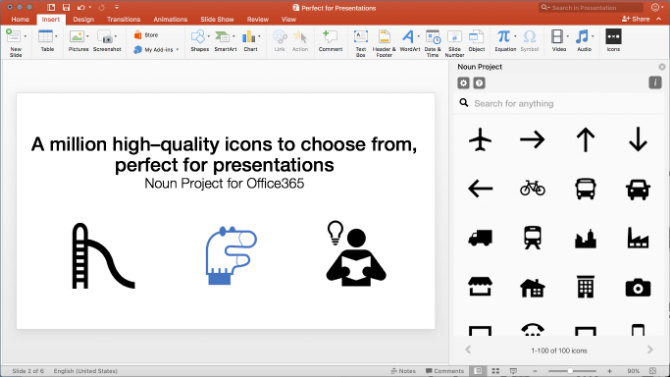 Once you know these basics, you can move on to slightly more advanced PowerPoint principles, like using add-ins to expand its abilities or downloading free templates from other sites. The Noun Project is a collection of over a million icons and emojis that are available for anyone to use for free. You can even legally use the icons for commercial purposes. And a simple add-in lets you use these in PowerPoint. It’s simple to install the PowerPoint add-in, after which you can start using it. Start The Noun Project and you’ll see a bunch of icons in the sidebar on the right, Drag and drop as you want, and you can even change the size. All icons also come in nine colors: black, white, and the seven colors of the rainbow. The free version of The Noun Project add-in gives you access to 100 icons. To access the full library, you’ll need to buy a NounPro account. But that account is valid for more than PowerPoint, and you can use those icons anywhere you want. You can only use The Noun Project add-in on the Windows and macOS versions of Microsoft PowerPoint. It doesn’t work on Android or iOS. It’s easy to embed a YouTube video in PowerPoint, but Microsoft doesn’t make it as simple to add other types of web-based media. If it’s a tweet or a web page that you want to update live, you’ll need an add-in called LiveSlides. LiveSlides makes it simple enough for anyone to add a web page by simply copy-pasting the link. It works with a wide variety of sites, including YouTube, Vimeo, Twitter, Poll Everywhere, Google Calendar, Outlook Calendar, Google Maps, Asana, Google Docs, and other popular web apps. And it’s free. The live nature of the add-in makes it special to embed any media in a PowerPoint slide. You can actually embed your company’s Twitter profile in a presentation, and send a tweet from your phone which auto-updates on the big screen. It also works with websites, in case you want to make changes to the backend and show a client their new web page. You will need to register to download LiveSlides for Windows or macOS. It also works with Keynote on Mac, but we haven’t tested that. Microsoft already preloads a bunch of free templates in PowerPoint, but you can always download and add more. Pslides is an excellent repository of different types of templates, most of which are free. To quickly filter the free ones, click the Free PowerPoint Templates category. There are still about 150 templates of different types. You can get slides to show a beautiful competitive analysis, create Venn diagrams to make your point, or show a simple task planner for how the project will progress. Load any template into PowerPoint and you can edit it in the usual ways: click the text boxes, change the colors, add or delete items and images, and so on. 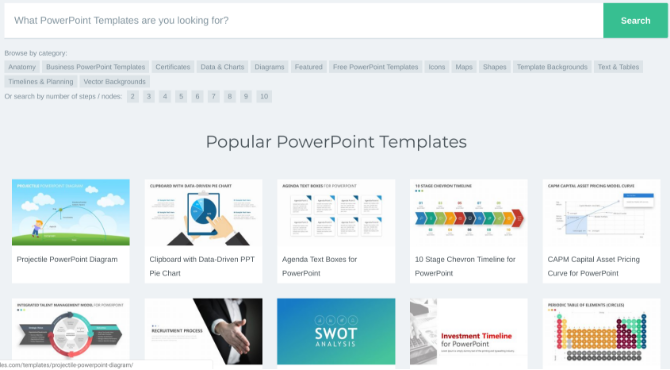 Like Pslides, there are plenty of other places to find free PowerPoint templates, so don’t forget to check the site before you spend hours creating your own slides. 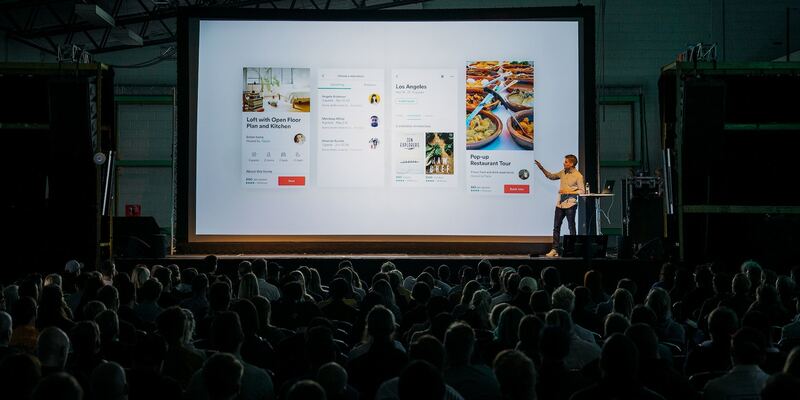 Peetch is a deck of slides for developers and entrepreneurs who want to showcase their big idea in the language that venture capitalists understand. You don’t need PowerPoint smarts if you use Peetch. The 42 slides are divided into intro, problem, your solutions, market, data, team, and roadmap. Each of the slides has excellent fine-tuning abilities so you can match it to your idea. For example, you can create beautiful mock-ups of how your app will look on a phone, tablet, or laptop screen. You can customize the color scheme to your design principles, or add a bunch of data and turn it into stunning graphs. While the whole idea of Peetch is about entrepreneurs, the slide deck is actually useful for any manager or project leader. The slides are universally useful, so try them out. And if you want a bit more, check other free templates for project presentations. No matter which add-ins and sites you use, none of those will help if you don’t know how to make a visually memorable presentation. So Visme, one of the best free PowerPoint alternatives, put together a little guide on how to create a good-looking slideshow. The 120-page guide takes you through a series of steps on how to think visually when you’re creating your project’s plan, the different ways to present the main message, and how to design the slides. You can download the full guide as a free ebook from Visme, but you’ll need to sign up for the newsletter to get it. Don’t worry, you can immediately save the ebook and then unsubscribe from the newsletter or send it to the trash folder. 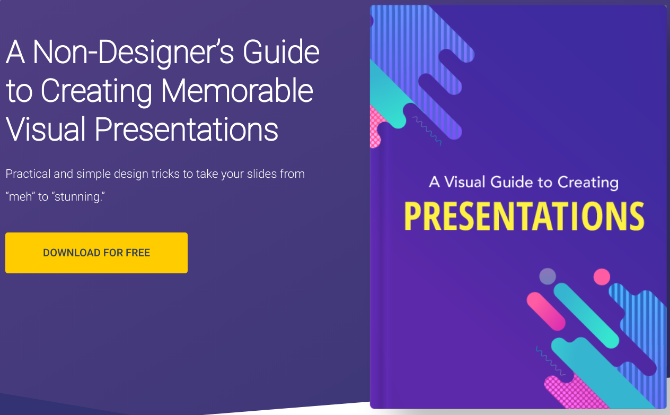 With the help of these sites, guides, and add-ins, you should be able to create a gorgeous presentation that wows your audience. But that’s only one part of a successful presentation. You still need to stand up and deliver the whole thing. Visme’s ebook guide has a few tips to prepare a professional presentation in person, but the one thing you need to remember above all else is to practice it in advance. Don’t wing it. That practice will help you speak at the right pace and know which slides are good or need to be changed.